At 33 years old, Mohammad bin Salman (MBS) is the de facto ruler of one of the richest nations on earth. He is also one of the most influential figures in the global oil industry. The death of journalist Jamal Khashogg has amplified the recent surge in global oil prices and created jitters in international markets fearing a return to very high oil prices. High oil prices earn significant revenue for oil exporting nations like Saudi Arabia, but come at a cost and can be a curse rather than a blessing in a country so reliant on oil for income. 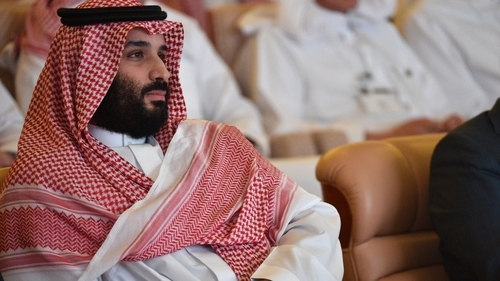 MBS has introduced a wave of ambitious social and economic reforms, including his Vision 2030, a plan to diversify the kingdom’s future beyond oil by promoting trade and investment in clean renewable energy. No country as dependent on petroleum as Saudi Arabia has ever effectively diversified away from oil. However, the switch away from oil will not be an easy path because funds from oil sales are needed to fuel that transition. Global oil prices, buoyed by political difficulties in Iran and Venezuela, have only recently recovered from years of low prices. This severely impacted on revenue generation and forced austerity in a country traditionally flush with cash from oil revenue. High oil prices help generate much needed revenue, but also increases the financial attractiveness of competing energy sources like renewables which are benchmarked against oil. On the other hand, lower prices drive out competition, but starve national coffers of revenue needed for social reform. Fracking is the controversial process of drilling kilometres into the ground and using special fluids to fracture the rocks to release oil and gas trapped inside. The word "game changer" is overused in the energy industry, but fracking not only changed the game, it upset most of the players, particularly large oil exporters like Saudi Arabia. Fracking helped the US become the largest crude oil producer in the world this year ahead of Saudi Arabia. The Saudi response to the rising tide of US oil was to hold production steady in a tense three-year standoff in the hope that oversupply would lead to low prices that would quash US production and put them out of business. It did not work. The US upstarts are a new breed of energy producer. They are smaller, quicker and more agile. Instead of years of investment and planning to drill an oil well, fracking takes months, requires less personal and, when the price is too low for production, the equipment can be packed away in a warehouse to wait until the price is right. During this period, oil was pushed out of electricity markets and countries like the UK, France, Japan and the USA embarked on extensive nuclear programs. Ireland investigated a nuclear program at Carnsore Point but instead went for the geo-politically more stable coal as a fuel of choice. Moneypoint power plant was one of the largest capital investments of the state. Higher oil prices also drove innovation in gas exploration and the discovery of Kinsale gas field allowed home heating to switch from oil to natural gas. Europe and many countries embraced more efficient cars and appliances and the overall impact was reduced global oil consumption that took almost 10 years to recover. The recent spike in oil prices is a respite for renewables which have had to compete with cheap oil for the past five years. Large oil exporting nations will be aware of the lessons of history and weary of the competitive disadvantage that very high oil prices bring.